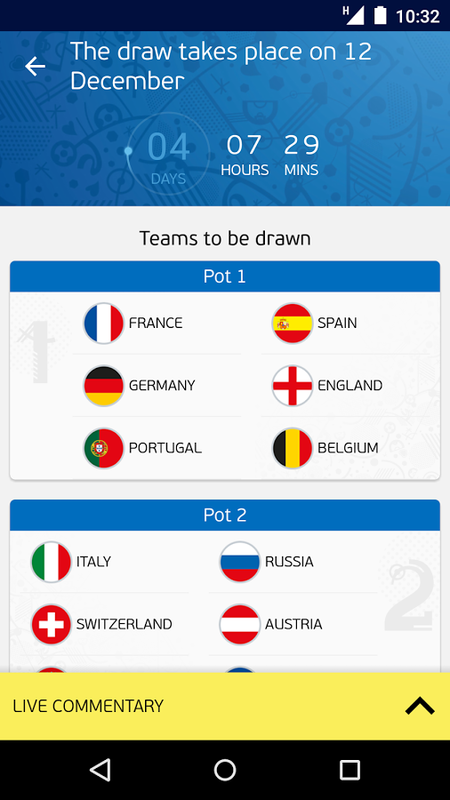 Everything you need to know about UEFA EURO 2016 in France: the biggest EUROs ever. 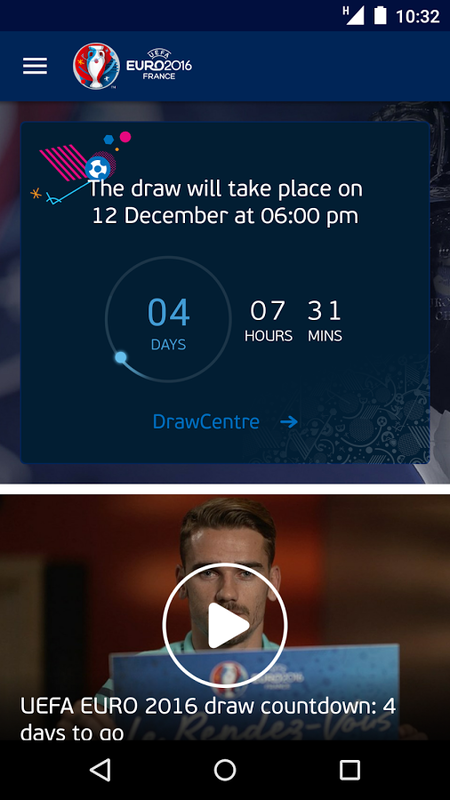 From the final tournament draw, to the opening game at Stade de France on 10 June to the final on 10 July, and everything in-between, the official UEFA EURO 2016 app is your one-stop shop for all you need to know about the teams, players, matches, fixtures, standings and much more. 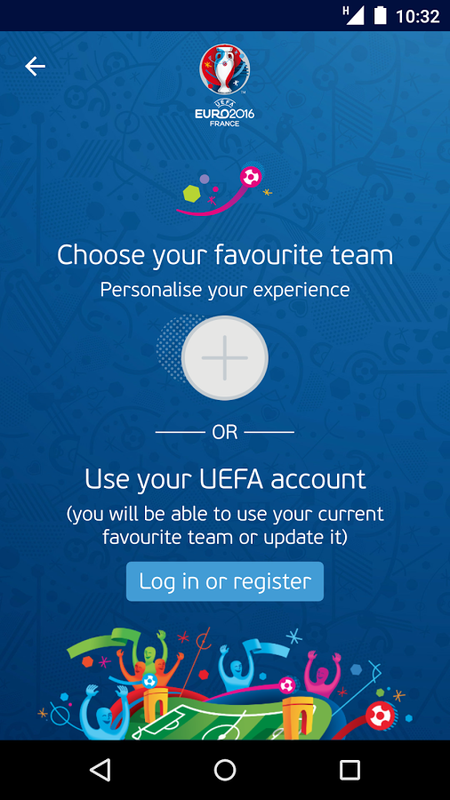 Pick your favorite team and get a personalized experience, follow the live MatchCentre for your ultimate second-screen companion during the games; there will be video and audio, all the official statistics and dedicated reporters with every team will bring you the latest news from the camps. You can also get in the mood before kick-off by picking your all-time EURO XI.